1. Why Brave? How it is better than the rest? Brave is for users who have the courage to defend their data against tracking and advertising, to support their favorite websites and YouTube creators directly, and if they choose to, be paid for their attention. Brave is much faster and safer by virtue of blocking ads and tracking scripts, so it protects your privacy and saves you page load time and data plan cost. There’s no need to install or configure extensions for these benefits. Protection against tracking, third party ads, and fingerprinting is on by default. 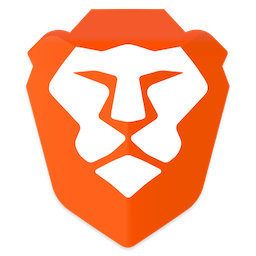 Sites load faster (up to 7x on Android, 8x on iOS), users save time and money (up to $23/month) on data plans, and malware that hides in ads (to attack users via popular sites that rely on automated ad exchanges) does not get past Brave’s shields. 2. Why BAT? How it will interact with Brave? The Basic Attention Token (BAT) forms the basis of a blockchain-based digital advertising platform. The BAT reconnects users directly to content creators, and reduces ad fraud and improves reporting for advertisers, without compromising user privacy and anonymity. The BAT platform cuts out all the parasitic middlemen in between brands, publishers and users, to make a much more efficient and accountable ecosystem. The first phase of BAT is already integrated in Brave via Brave Payments, an automated, deterministically anonymous contribution system in the browser that empowers users to reward their favorite publishers and YouTube creators (creators who generate content on other platforms such as Twitch soon to be supported). The next phase will add consent-based user-private ads that individuals choose to view in the browser, in exchange for BAT-paid 70% revenue shares. The platform will also enable advertisers to connect with publishers who opt in along with users, via ads in otherwise blocked spaces on the publishers’ sites — for which both user and publisher will receive revenue shares. 3. How different is Brave from your closest competitor? As I mentioned earlier, Brave is faster and protects users’ privacy by default, no need to change settings or add extensions. We test the shields for false positives and negatives, which can break the Web experience for users of ad-blocking extensions, and eliminate such broken experiences. But Brave is more than a browser. It’s a user-first platform that reconnects people who choose to engage with creators and advertisers, to rebuild the trust that has been eroded by the surveillance-based ad-tech ecosystem. Transactions are done privately and anonymously, and users are in charge of their data. With Brave, you are are no longer “product” being attention-farmed. There are no direct competitors in this new world created by Brave and the BAT, and browser extensions can approximate only some aspects of the system, at higher cost than with Brave’s unified design, testing, and economics. 4. What lies ahead in the short/long term for Brave and BAT? In the short term, you’re going to see Brave Payments coming to mobile, more support for creators whose content is hosted — but increasingly not monetized well or at all — by platforms such as YouTube, and opt-in ads that not only preserve users’ privacy, but also pay them so they can in turn fill their wallets and support their favorite creators. I think that in the long run, Web standards will evolve to address user data and user rights, privacy by design (we’re already seeing this with GDPR in Europe), direct payments, and privacy-protecting ads. We’re already building all of this into Brave and BAT, and based on our experience, we hope to contribute to the improvement of Web standards and the Web experience for users. I would have finished some of the features, notably closures (nested functions and function expressions), which had to await later releases of Netscape. I would have not over-minimized and overloaded functions and object prototypes, instead splitting special forms for methods (which take a this receiver-object parameter) from constructors and other variants all done via functions. I would have held fast to my 10-day design of == which evaluated to false if its operands had different types (I changed the == and != operators after the first 10 days in response to early Netscape adopter request that 200 == “200”). 6. 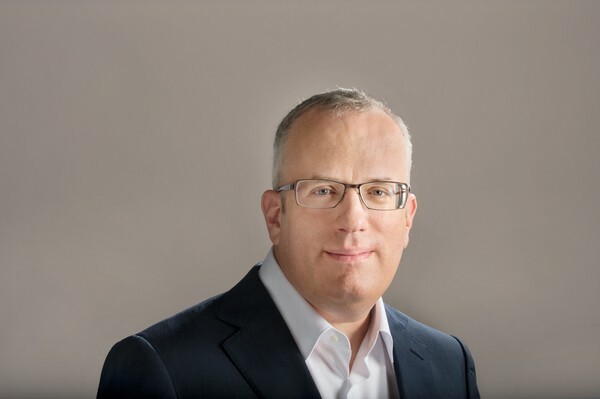 What will you do different in Brave than you did with Netscape and Mozilla? In the Netscape days, many people (at least commercial users) paid for browsers. That ended with IE being bundled with and tied into Windows on the PC, and it meant curtains for Netscape. Mozilla was at first a small escape pod, but over the 1998–2002 period we built it as an open source project so that Firefox could be born. We launched Firefox in 2004 with Google as search partner, back when search ads worked very well and before the modern era of tracking ad-tech really took off. So in both the Netscape and Mozilla cases, users were not compensated for their attention, and browsers became captured by big software companies that had other revenue models, eventually ones that depended heavily on advertising. This locked in the passive, “blind runtime” imposture we see in the top browsers. Brave takes an active, user-first approach precisely in order to guard user data and give people a seat at the table. BAT enables payments from users and advertisers to creators, so the system can be solvent, yet without tracking and without loss of privacy. Chess, piano, reading, playing with my children. 8. What are your entrepreneurial fields of interest? I love the intersection of programming languages, runtimes such as browsers and game engines, cryptographic protocols, and cryptocurrency economics. The promise of the Internet, of permissionless innovation and person-to-person connectivity without walled gardens, gatekeepers, or censors, requires ongoing innovation and vigilance to realize more fully and to preserve. 9. #1 recommendation to entrepreneurs/programmers/developers? Don’t let anyone, especially incumbents with vested interests, define what is possible. Work with the grain of the networks that empower people in your target market. Take wide and cross-cutting views of the complex systems in your path, to find better paths through them. There is nobody better than Brendan to lead the charge to bring an actual contender to the battle of browsers, and give back power and privacy back to us, the internet surfers. If you enjoy the read, follow me on Twitter, its good for Karma.